The E Series is so packed with extra software, this section could easily be as long as the rest of the review. However, in the interest of space, here are a few highlights. 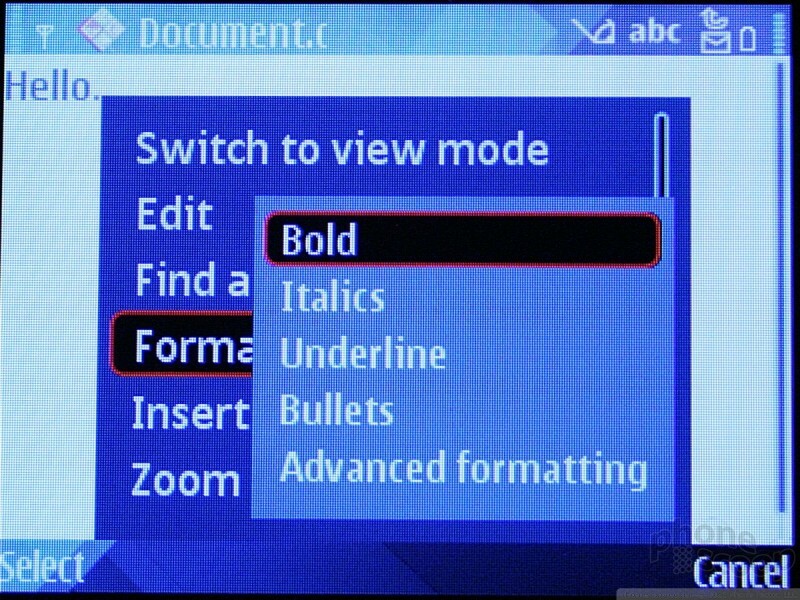 Because the E71 uses S60, literally thousands of applications are available from third-party vendors, many for free. The E71 has built-in access to the Nokia Download Store, which is a decent starting place to find applications. The E71 communicated via Bluetooth with every device we tested. That included two different computers, two pairs of regular headsets, stereo headsets, and an external stereo speaker. All the pairings and connections were easily accomplished and managed. 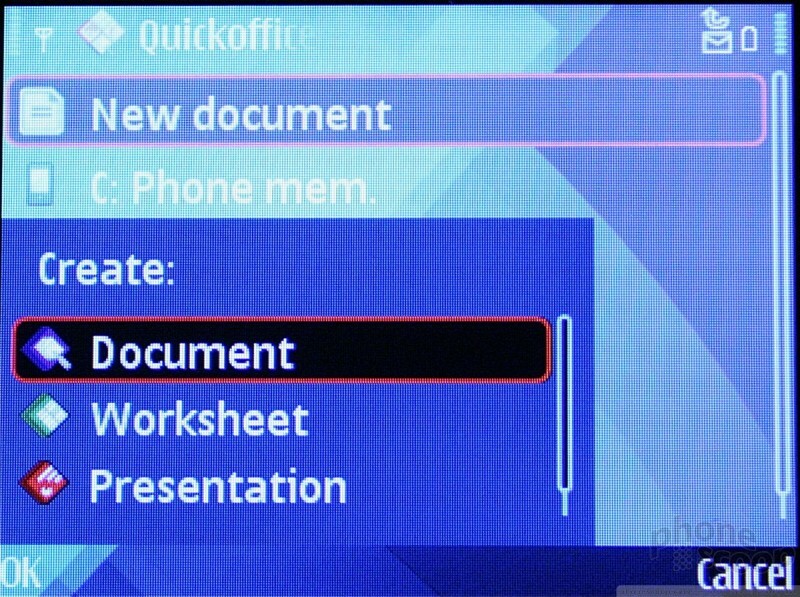 Passing files from the phone to a computer and back was easy. Sound quality via Bluetooth headsets — both standard and stereo — was stellar. The clock can be set to analog or digital. It is always displayed in the upper left-hand corner. The analog clock can be a little tough to read from an arm's length, however. If you want to check the time quickly, the E71 is not going to help you out. With the display asleep, hitting any of the keys doesn't bring the screen to life. You have to unlock the keyboard first, which takes two steps. Only then can you read the time. Because Nokia expects business people to be using this phone, it has some serious security software. That includes the ability to encrypt files on the phone, and even on the memory card. The software prompts you to set passwords for the phone and certain software applications. After this is taken care of, you can encrypt files, but then you have to use your password to access them. Encrypted files are slower to open and interact with than non-encrypted files. 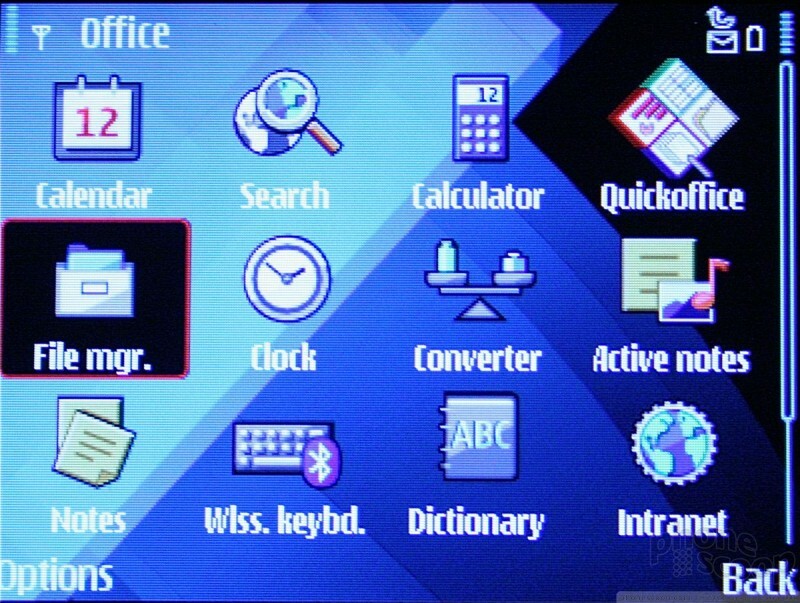 The E71 has a folder in the main menu called "Office." I'll give you one guess what's in there. Here is where you can manage your calendar, access the calculator, file manager, set up a wireless keyboard, set up printers, access a dictionary, access an Intranet, and open up QuickOffice applications. Anything you might need for work, the E71 has. 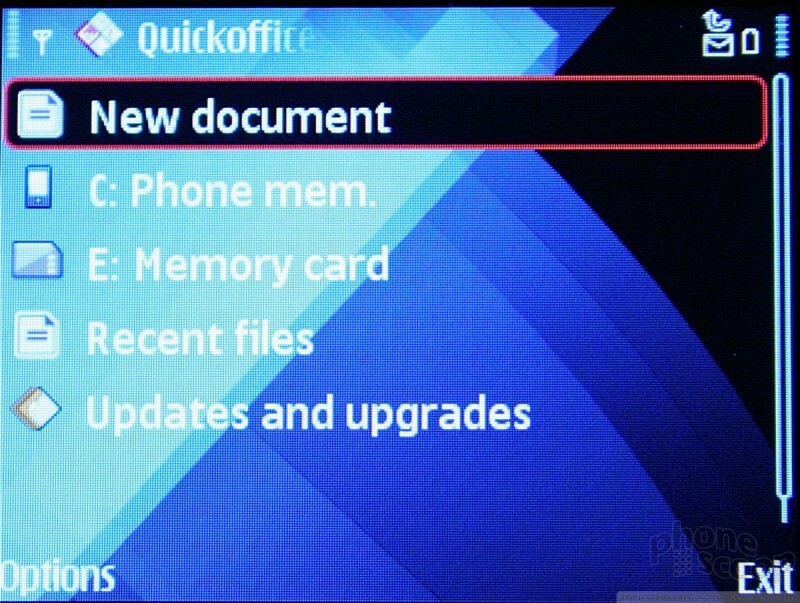 QuickOffice let you open Word, Excel and PowerPoint files, as well as perform some edits.